Be the first to share your favorite memory, photo or story of Margaret Ruth. This memorial page is dedicated for family, friends and future generations to celebrate the life of their loved one. Randleman, NC/ St. Albans, VT - Margaret Ruth McFeeters South, age 81, of Randleman, NC passed away peacefully at home, surrounded by her family, on Saturday, March 30, 2019. Margaret was born November 5, 1937 in St. Albans, VT, the daughter of William and Dorothy McFeeters who preceded her in death. 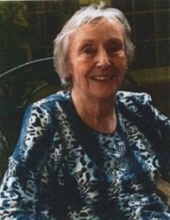 Margaret graduated from the University of Vermont in 1959 and became a registered nurse. She married the love of her life, James Allen South on August 7, 1960. She is survived by her husband, James; her sons Dr. Stephen Alan South (Barbara) and William Eric South (Ann); her brother Alan McFeeters ( Dale) and several grandchildren, great grandchildren, nieces and nephews. Visiting hours and a celebration of Margaret’s life were held at New Salem United Methodist Church in Randleman, NC on Wednesday, April 3, 2019. To plant a tree in memory of Margaret Ruth McFeeters South, please visit our Tribute Store. "Email Address" would like to share the life celebration of Margaret Ruth McFeeters South. Click on the "link" to go to share a favorite memory or leave a condolence message for the family.